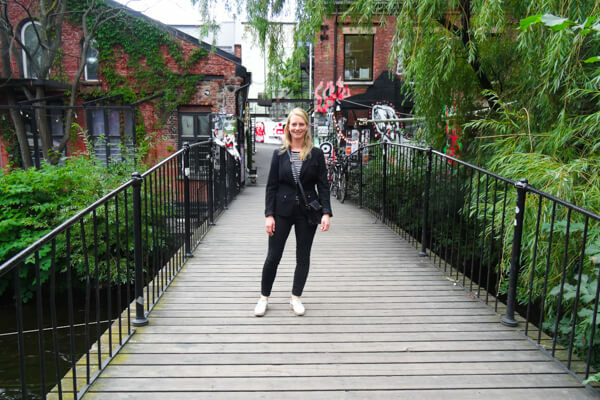 A city trip to Oslo allowed us to get to know the Norwegian capital in a few days. 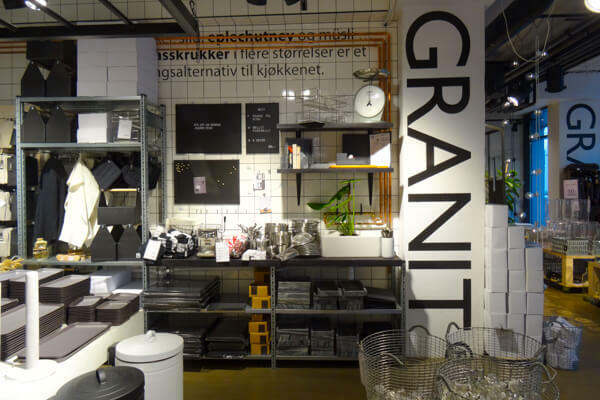 After walking around in the central district, we decided it was time to discover Grünerløkka. 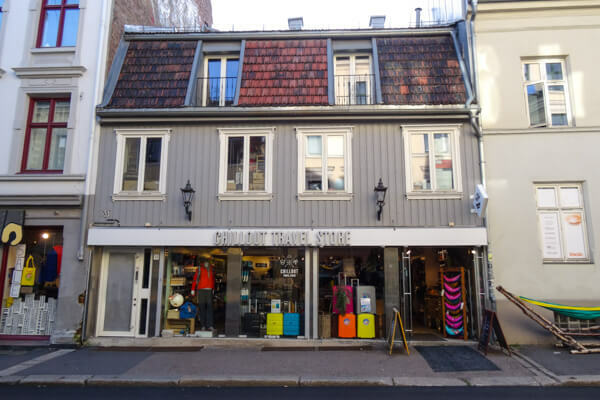 Situated in North Central Oslo, Grünerløkka is a cosy neighbourhood just east of the river Akerselva. The little river with surprisingly strong currents reminded me of my canoe adventures in France when I was a kid. Grünerløkka felt like a small town with its own free-spirited character. 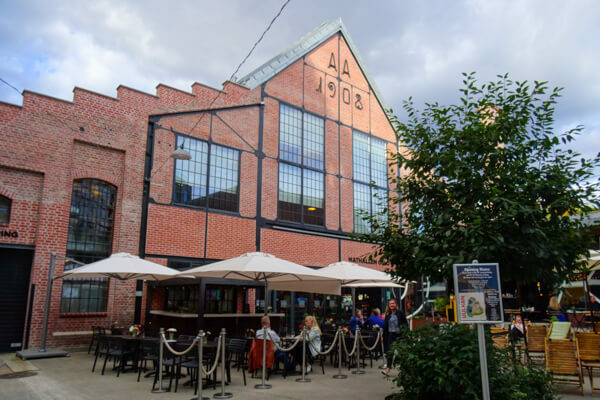 We loved walking around in Oslo’s alternative neighbourhood and we love to tell you why! 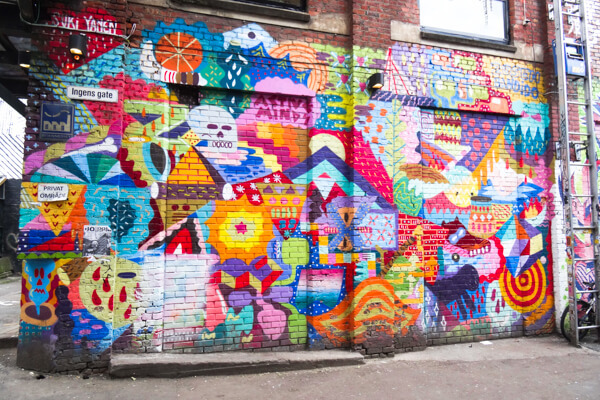 When we walked down towards Akerselva river, we were overwhelmed with the most colourful street art in Grünerløkka! 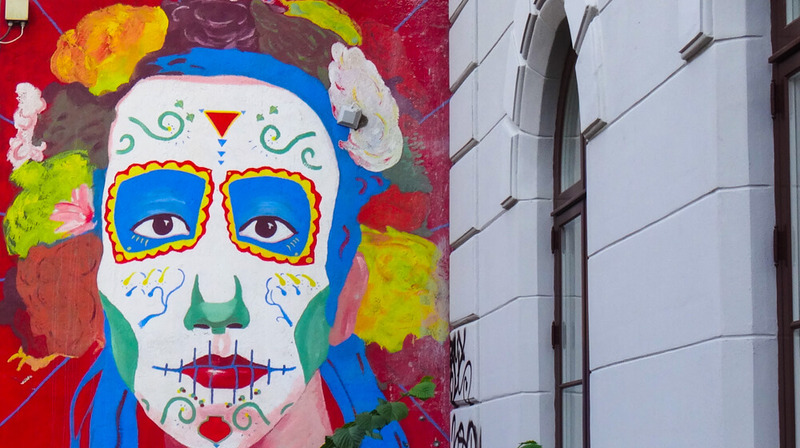 If you are a frequent visitor of our website or Instagram, you may have noticed that we like street art a lot. I believe it just brightens up cities and it gives areas their own characters. I definitely wouldn’t call myself an expert but I recently started to recognise street art from an artist in Amsterdam and Hamburg. And I especially love ROA’s animal murals! Having that said, Grünerløkka is home to some very cool street art in many different styles, with and without political statements. Food markets become more popular in many cities but somehow in Oslo’s Grünerløkka the Mathallen were not overcrowded, yayy! Grünerløkka’s Mathallen is food paradise and the perfect place to give your feet some rest, enjoy a beer and eat your favourite food. We have some delicious Basque pintxos with goat cheese and Norwegian salmon. Although not located at Mathallen, there is another place I should share with you: go to Villa Paradiso on Olaf Ryes plass 8 for Oslo’s best pizza! 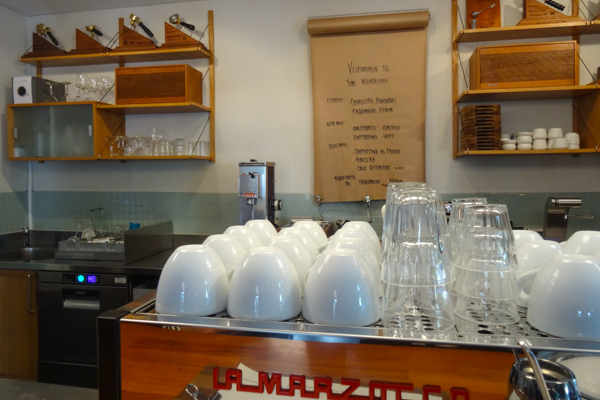 Oslo takes coffee seriously and Grünerløkka has some of the cities (and the worlds!) 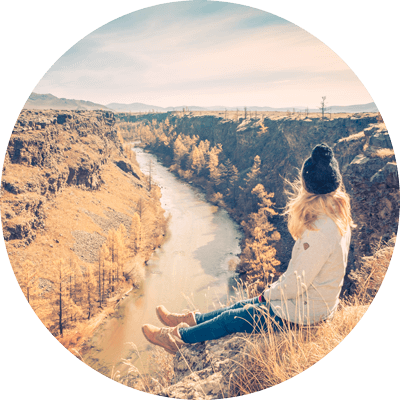 best coffee cafes. I have had many coffees in my life, varying from tasteless coffee to really good cappuccinos. But the cortado I had at Tim Wendelboe in Grünerløkka exceeded all my expectations. This is the real deal! Coffee that makes you smile 🙂 So where do you find the best coffees in Grünerløkka? Oslo’s award winning coffee King! When (the restaurant I really need to go to!) Noma still existed in Copenhagen, they bought their coffee beans at Tim Wendelboe. That says it all right?